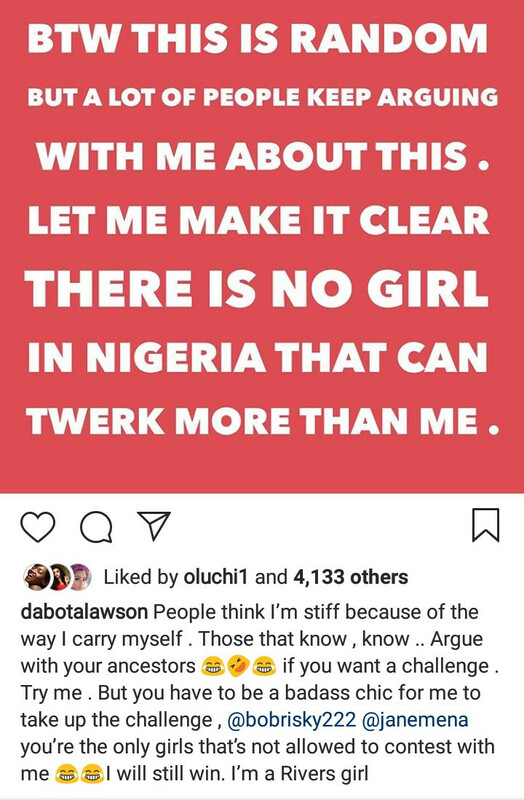 Former beauty queen, Dabota Lawson has said that she twerks best amongst all the females in Nigeria. The mother-of-one told her followers that she's a "Rivers girl" and even though she carries herself as though she's stiff, no Nigerian girl can twerking better than she does. See what she wrote below.